Northern Volusia's Versatile Kitchen & Bath Fixtures | 36 + Years! Over the past 36 years, our family-owned and operated business has expanded to eight locations throughout North and Central Florida through dedication to service and building relationships. 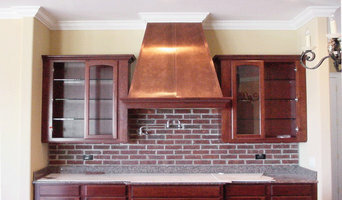 Keyser Carpentry, LLC is a custom remodeling and carpentry company located in Port Orange, FL. We proudly serve Volusia, Flagler, Brevard, Seminole, and Orange counties. Now is a great time to remodel, and increase the value of your biggest investment. 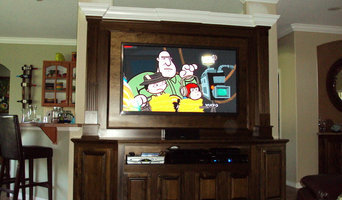 Keyser Carpentry, LLC is fully comitted to bringing you quality craftmanship at a price that you can afford. We are fully licenced and insured to do business throughout the state of Florida. Let Keyser Carpentry, LLC handle your next remodeling job. Contact us today and become our next satisfied customer. 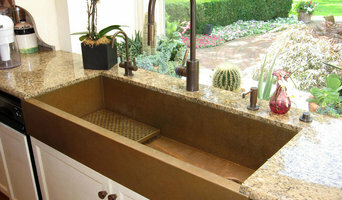 Custom fabrication & installation of natural stone, granite, marble, quartz materials. With thousands of five star review on Facebook, Yotpo and Google Shopping, Centerline is the industry leader in the Hidden Bracket market. Our brackets used in many tens of thousands of residential and commercial installations nationwide. Centerline is trusted and recommended by designers, kitchen centers and architects everywhere. Our Countertop Supports are designed to hidden from view. Using our unique mounting system, our hidden granite countertop support brackets provide a solid and durable mount for your granite to rest on. Remember, granite doesn't bend - it snaps. Our Hidden Countertop Supports will help prevent this. Our products were designed to meet the needs of homeowners, granite fabricators, design centers and installers who needed a safe and solid solution at a reasonable price. Morgan Bros Supply was established in June of 1980 in Ocala, FL. Over the past 36 years, our family-owned and operated business has expanded to eight locations throughout North and Central Florida through dedication to service and building relationships by offering top-quality products to our customers. Our customer service is second to none. Come into our stores in Daytona Beach, Jacksonville, Orange City, Melbourne, Ocala, Gainesville, or Crystal River to see our huge collection of residential and commercial plumbing products that we have for sale. Millenia Bath is a leading local plumbing supply business working primarily with Central Florida's most sought after custom home builders and interior designers. We guide those looking for decorative plumbing in their kitchens, baths, wet bars, pool areas, spas, and more. Extrufix is the maker of the Original Kitchen Rack, an innovative waste management system that can be installed in small spaces. The rack can hold your household waste in high quality bags that can handle your everyday needs. Kitchens and bathrooms are the most renovated rooms in any Ormond Beach home. Storage is a top concern in these rooms, so hiring Ormond Beach, FL professionals to create and install custom cabinets in your home can be key to expanding your spaces and controlling clutter. Use the Houzz Professionals listings to find Ormond Beach, FL kitchen and bath accessory vendors. Don’t rule out asking a kitchen manufacturer’s design team for help, too. Skills often can be overlapped to save you time and money! Here are some related professionals and vendors to complement the work of kitchen & bath fixtures: Kitchen & Bath Designers, Kitchen & Bath Remodelers, Interior Designers & Decorators, Cabinets & Cabinetry. Find kitchen and bath fixtures and accessories, plus installation experts, on Houzz. Check out Florida kitchen products and installers, and bath plumbing products and installers, on Houzz. You can also look through project photos provided by Ormond Beach, FL renovators, retailers and designers.